We get lots of calls every day from consumers asking for a quote to tint their vehicle. No Surprise, as we are in the window tinting business. What is surprising however, is the vagueness and confusion offered up by consumers when asking them pertinent information about their vehicle. In order to give you the most accurate estimate on automotive window tinting there are several things that we will ask to determine your price, and you knowing the answers, will not only allow for accurate pricing, it will ensure you know exactly what you are getting into, and avoid “surprise” fees at your appointment. First and most obvious questions are the YEAR, MAKE and MODEL of your vehicle. This information helps us determine the difficulty and approximate length of the installation process and overall price. We also want to know if you have a 2 door or 4 door car, a MPV or SUV. If it is a truck, we want to know if it is a single cab, extended cab, or quad cab etc. This sounds like an easy question, however for many, this is where the confusion begins. DO NOT count your “HATCHBACK” as a door, it is the back window and is included in the window count for your type of vehicle. 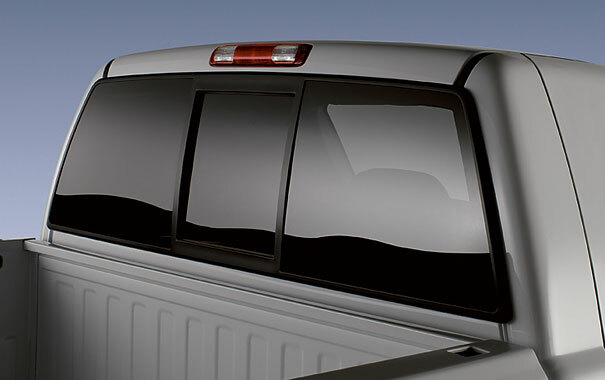 Any quarter windows behind the doors are also included in the window count for your type of vehicle. What is not included are FRONT “WINGS” or “VENTS” or FRONT (in front of the driver’s window) QUARTER windows. On your trucks, we want to know if the back window is solid or if it slides open. These “EXTRA” features are factored into the price quote differently. We will further ask you if you would like the “LIMO” (5%) or darker than 35% film on the back of the vehicle and if you would like to add a “VISOR” or “EYEBROW” to the top of the windshield or if You want the whole windshield tinted. One VERY important piece of information we will ask you is if your vehicle is currently tinted. A large percentage of consumers don’t know the answer to this question, or they answer incorrectly. If you have window tint on your vehicle, you will be able to tell by rolling a window down and looking at the top edge of the glass. If you notice a definitive break between the color and clear glass, this is window film. 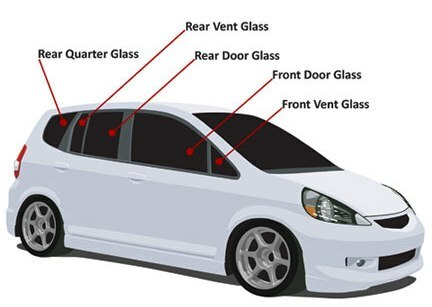 Cars do not generally come with “Factory” tinted windows, where as your MPV, SUV, and Trucks generally do have “Factory” tinted windows in the back but not the front two doors as this is against Federal Law. Factory tinted windows are colored glass, and you will not see the distinguishing difference of clear glass at the top of the window. You also will not get the Heat reduction or UV protection a film will give versus factory colored glass! If you take a few minutes to prepare yourself for answering the questions above, the process of providing an accurate and helpful estimate for the cost of tinting your vehicle will be less stressful and more enjoyable for all. We are always happy to assist you on the phone, or you can get an online quote from our website, where you will need to provide the same information. If you are still unsure about your answers to any of the questions, please feel free to stop by our showroom, and our qualified staff will gladly give you a hand and provide a quote.